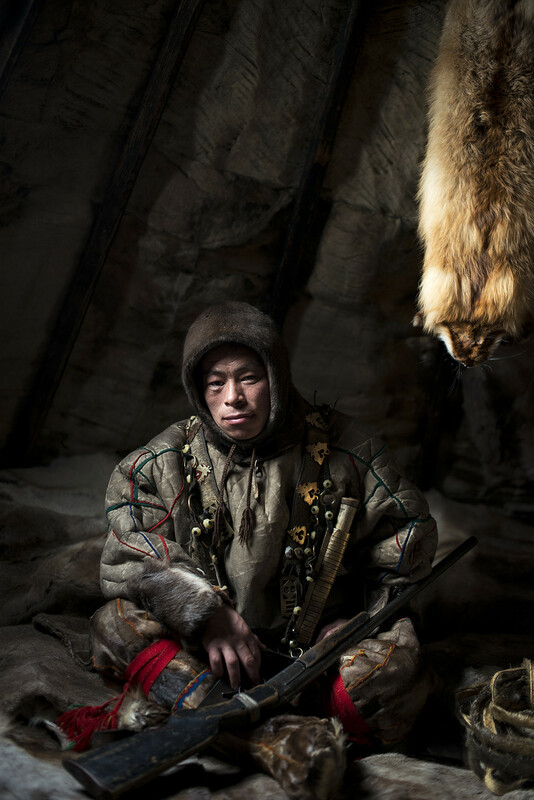 The Nenets people live in Northwestern Siberia, in a sparsely populated territory that covers about 68,000 square miles from the northern arctic coast down past the northern treeline. There, austere tundra gives way to a forest of pine, birch, and larch. Snow remains on the ground for nine months of the year, and the rivers are frozen most of the time. Winter temperatures can drop to -50C (-58F). 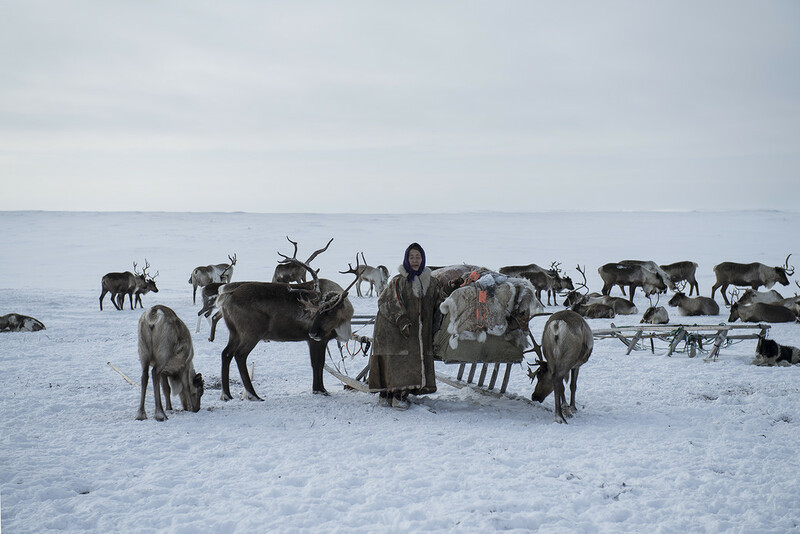 The Nenets have historically been nomadic reindeer herders, but of the roughly 45,000 Nenets people now living in Siberia, the majority resides in permanent villages. 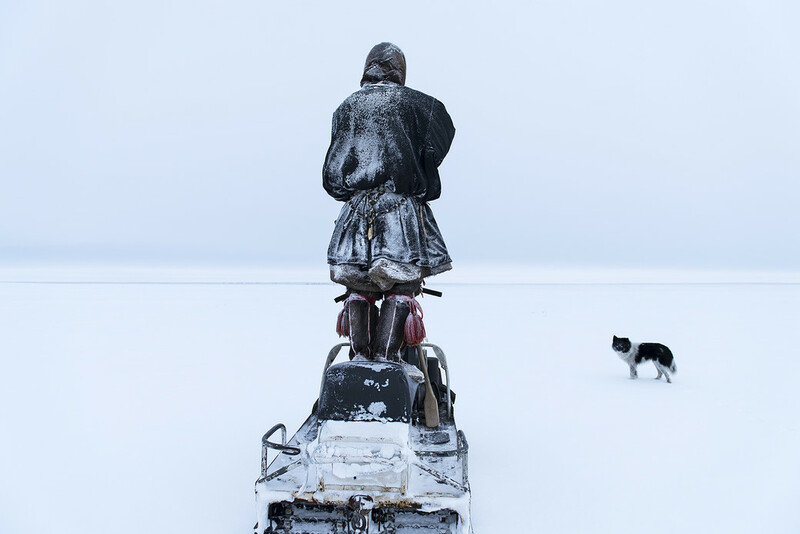 Beginning in the 1930s, Soviet authorities forcibly reorganized the Nenets into collectives. 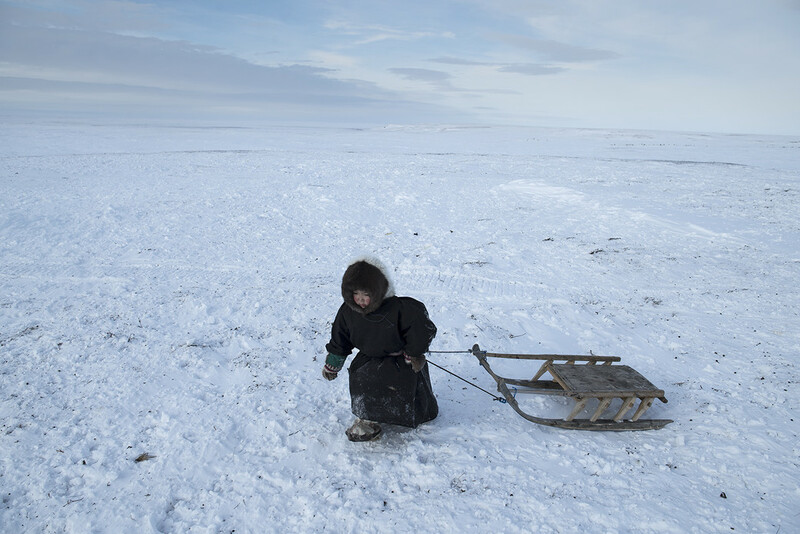 Children were sent to boarding schools, and many Nenets adults started working sedentary jobs instead of migrating seasonally with their animals. Those who still herded reindeer did so in large Soviet-organized “brigades” instead of in smaller, family-sized groups. 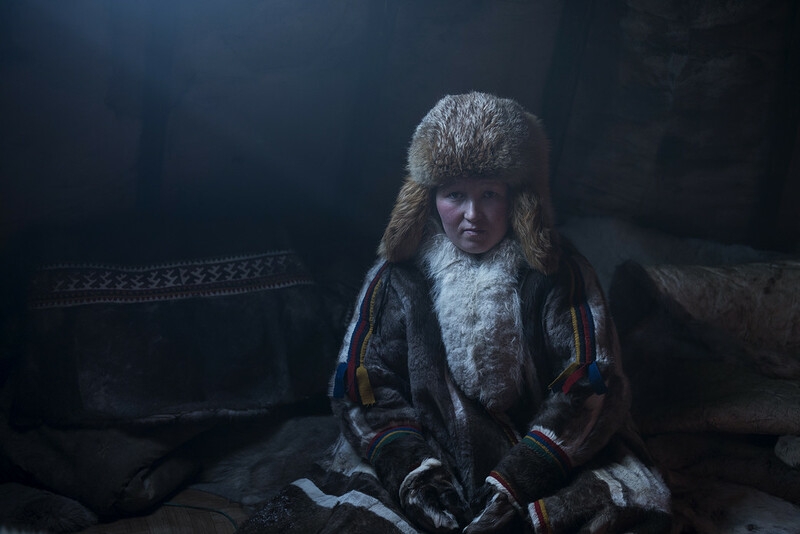 But some Nenets resisted—one group famously escaped to the Ural mountains and lived independently throughout the Soviet period—and today, with that era behind them, several thousand Nenets still live nomadically. They travel the tundra with their reindeer throughout the year, going up to the windy coast in the summer to stay clear of mosquitoes, and back down to the forest at the onset of winter. They live in large reindeer skin tents, called chums, and stay encamped for days or weeks before moving on to new grazing grounds. When leaving a campsite, the Nenets pack their belongings (chums, fur boots, TV sets, satellite dishes) onto distinctive wooden sledges. These sledges are handmade, with wooden pieces carved to fit together—there are no nails, in fact no metal of any kind. The body of the sledge is often crafted using softer pinewood, while harder fir is used to make the slim, strong runners. A distinctive curve at the front of the runners is one of the most difficult parts of the sledge to make. Nenets bend and bind wet planks, then dry them over a fire. The planks must be thin enough to mold in this way, yet thick enough to survive the intense strain of a long tundra trip. 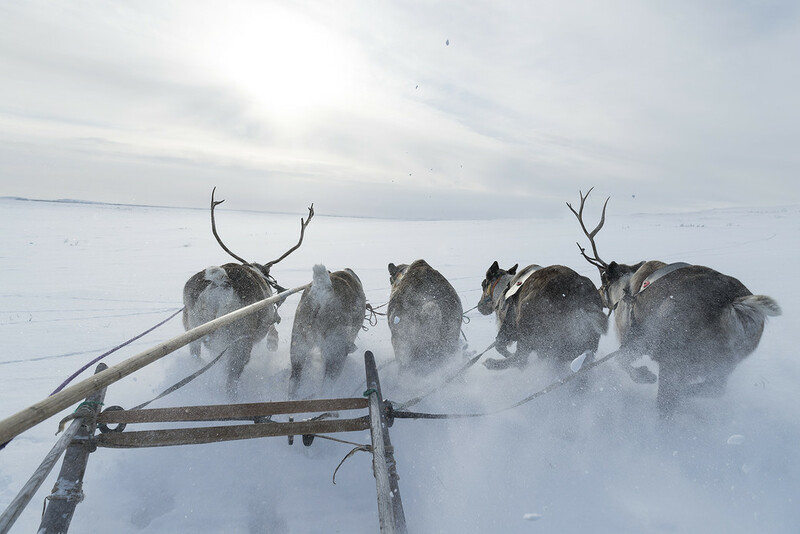 The Nenets train certain reindeer to pull their heavy sledges. 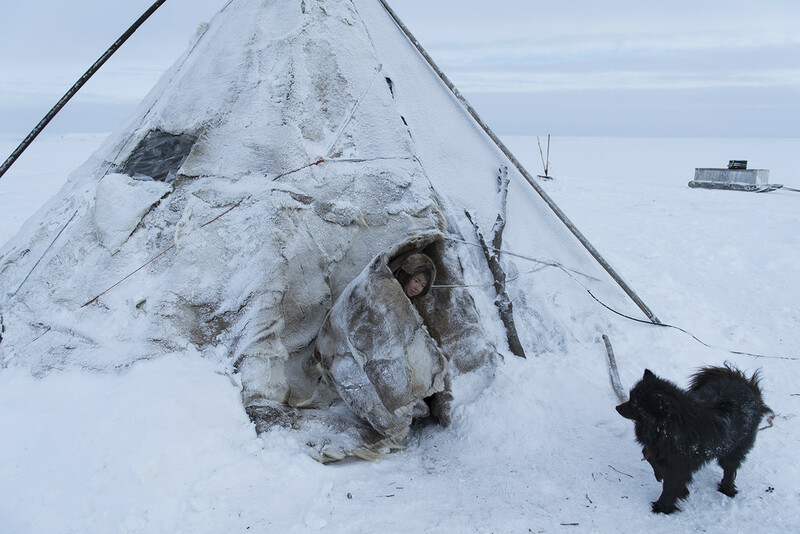 Except among the poorest Nenets, dogs are used for herding rather than for dragging loads. A team of two or three deer will suffice to pull a sledge in the winter, when the ground is slick with ice. 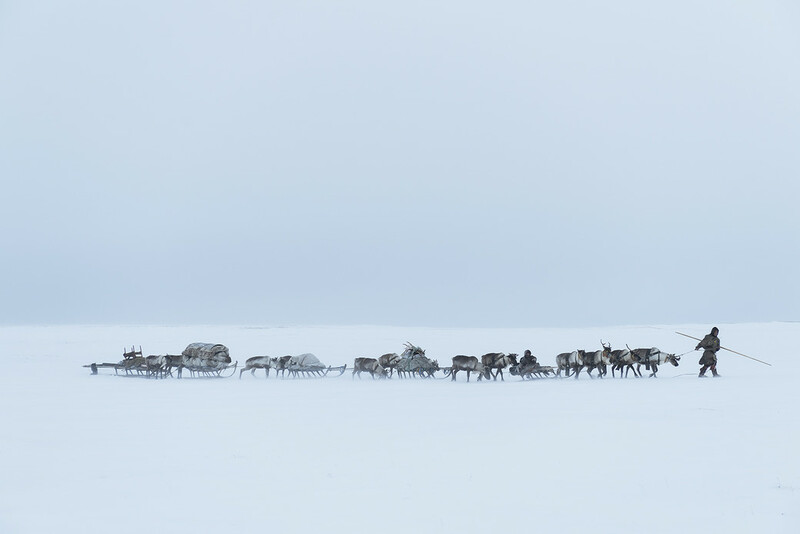 Up to five reindeer pull a sledge in summer, when the ice melts and their owners must travel over mottled ground. 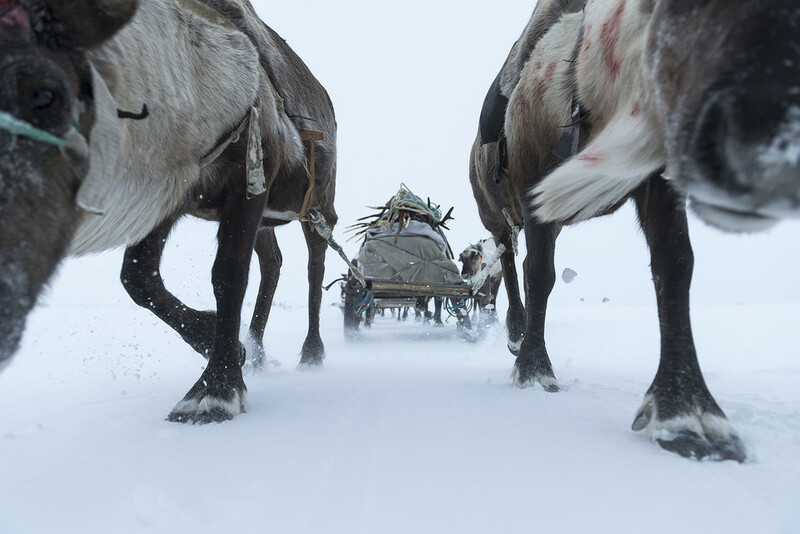 These reindeer learn to obey the commands of Nenets drivers, but skilled drivers also know when to follow the animals. Better than humans can, the reindeer sense when the snowpack is strong enough to hold them and when they are at risk of falling through. The sledges form a caravan, or argysh. 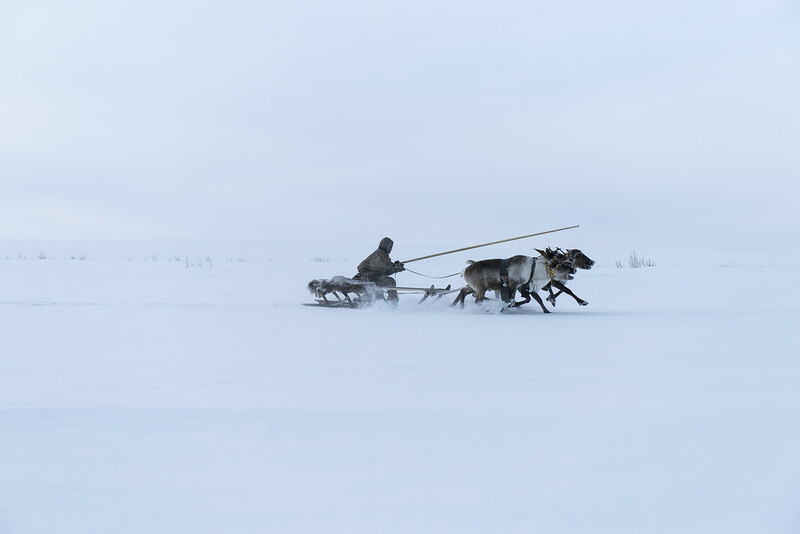 Some Nenets travel on lighter sledges to speed ahead and scout the route or take care of the herd. They might also ride a snowmobile, especially for spur-of-the-moment trips, although the cost of fuel must always be considered. 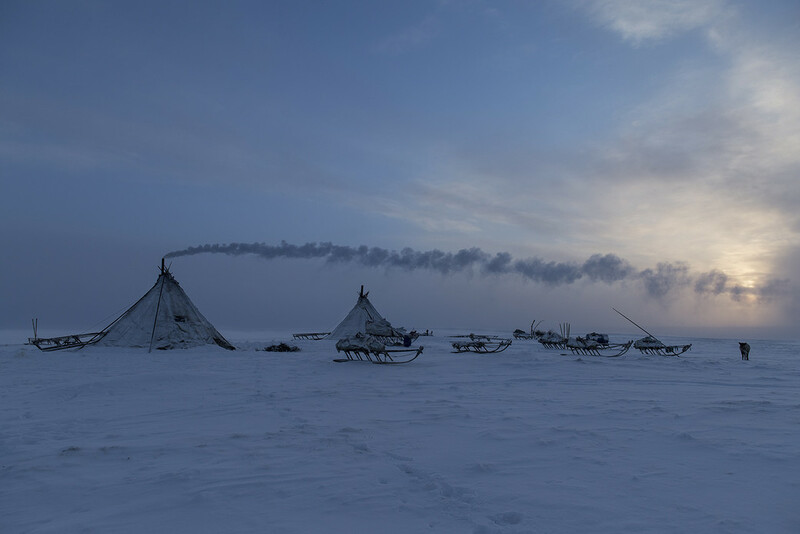 When the argysh arrives at the next campsite, the Nenets arrange their sledges in a half-circle, unload poles and skins, erect the chums, and settle in. But not for long. Chances are that a few days later they’ll be back on their sledges again, pushing forward.